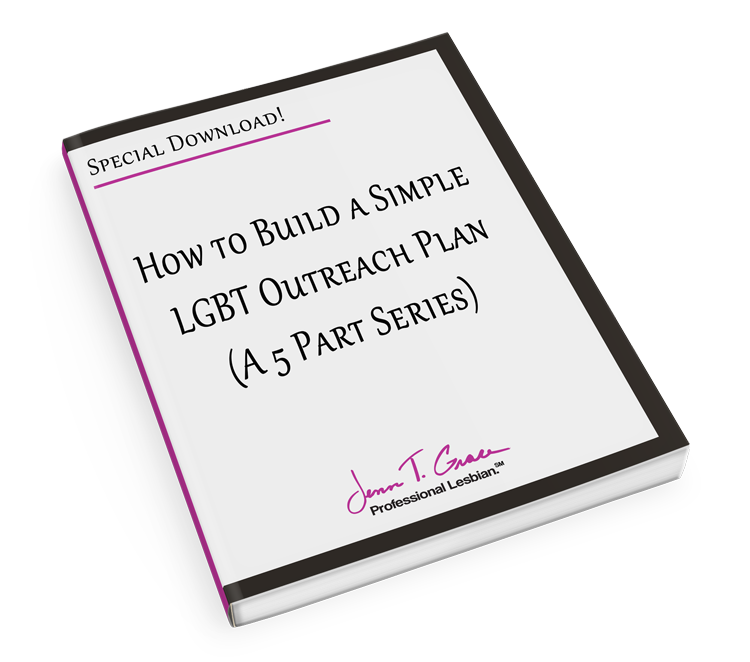 This is part 2 of 5 of the 5 part series of How to build a simple LGBT outreach plan. 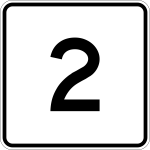 This is the second post in a 5 part series. 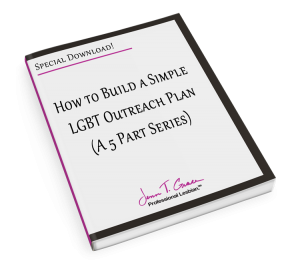 The first post was titled “How to build a simple LGBT outreach plan,” if you haven’t checked that one out, go back to it when you are done here. 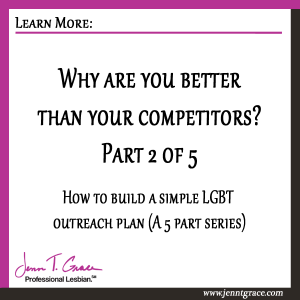 In that post we discussed 5 questions to ask yourself to help create a solid plan and strategy for reaching the LGBT community. 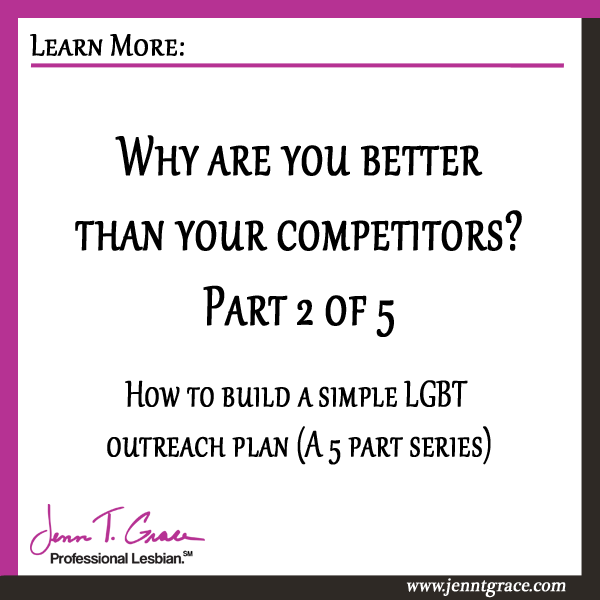 Now we are going to talk about the second question from that post, “How will I position myself differently than the competition?” To help you determine what makes you stand apart – you need to first understand your business and the competition. 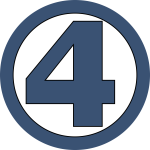 The first step is to do a SWOT analysis. 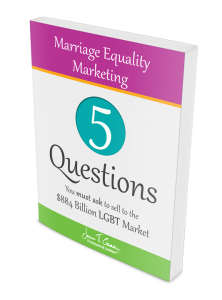 This process will help you determine your strengths, weaknesses, opportunities, and threats as a company.  Take a look at what your company does. Where are you really strong? 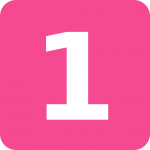 Are you in an industry that has fully automated customer service and you are one of the few that still provides live customer service? 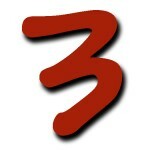 Is the customer service you provide out of the park outstanding and your customers rave about you because of it? Those are some examples of strengths. Don’t forget to look at this from the customerstand point too. 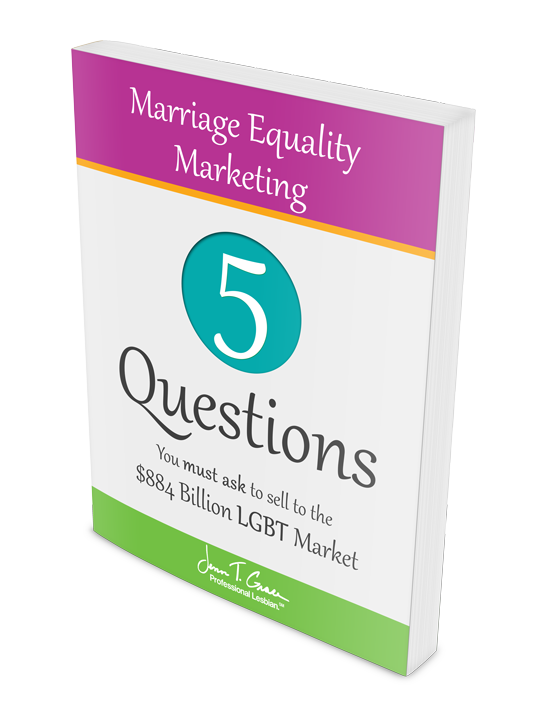 Find out from them what they think makes you strong or better than the competition. It might be something you hadn’t thought of.